Some of my friends and I have been tossing around some ideas about things we want to try, things we want to accomplish. It’s more than checking items off of a bucket list like visiting Italy, riding an elephant, or bungee jumping. Not that those things aren’t worthy of our endeavors; they’re just not on our lists. The things we want to do involve WORK on our part(s), and they also expose us to teasing, ridicule, and snickering behind our backs. Some of my friends and I have been tossing around some ideas about things we want to try, things we want to accomplish. It’s more than checking items off of a bucket list like visiting Italy, riding an elephant, or bungee jumping. Not that those things aren’t worthy of our endeavors; they’re just not on our lists. The things we want to do involve WORK on our part(s), and they also expose us to teasing, ridicule, and snickering behind our backs. Hmmm, now that I think of it, sometimes the criticism and skepticism are right up front. So should a person go for it or continue playing it safe? I think you know my answer to that! It’s tied into positive psychology, a mindset that emphasizes optimism, personal choice, and happiness in human development and overall mental health. Generally, the so-called lay person thinks of psychology as a field in which people with mental and emotional disorders are helped by talk therapy, drugs, or ECT, and while those things happen, psychology is much, much more. Here’s a neat story that fits nicely into this topic. A couple of Sundays ago, I attended church in Myrtle Beach and heard a story about an old donkey who fell in a deep, dried-up well. His owner tried to get him out, but his efforts were in vain. Finally, he realized that nothing he did was going to get the donkey out of the well, so he came up with an alternate plan. He called his neighbors and asked them to bring their shovels so that they could help him fill in the well. After all, it was dry and useless, and the donkey was old anyway. At first, the donkey brayed and carried on something fierce. He was scared and angry. Still, the men persisted in their dirt shoveling. Suddenly, they realized that the donkey was quiet, and when they looked down into the well to see what was going on, they saw something remarkable. 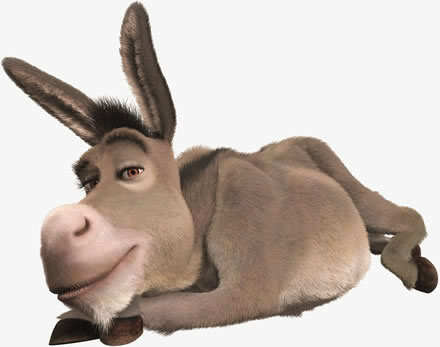 Every time someone hurled a shovel of dirt on him, the donkey shook it off and then stepped up on it. The men continued shoveling, and the donkey continued climbing until eventually he was above ground. You don’t have to be a psychoanalyst to see the moral of the story. When life throws dirt on you, shake it off and keep stepping up. You don’t have to get buried by dirt. You don’t have to stay trapped at the bottom of a well. No matter how many people are actively involved in shoveling dirt on you, you have a choice to shake it off and step up…or not. One of my friends got a rejection letter about a story she had submitted to a magazine. I wrote her on Facebook and said, “Yay! It means you’re actually doing something instead of just talking about it.” Another had a poem of hers criticized for having too many gerunds. Did it bother her? Probably. And yet I know she’ll shake off the dirt and try again. As I write this, I’m thinking of people who are making jewelry, drawing birds, writing stories, writing books, and training for a marathon. I feel certain that in all of their lives there are people with their shovels raised and ready to use. I hope my friends stay the course. I hope they keep shaking off the dust regardless of who’s shoveling it or how much gets dumped on them. I hope they’ll read this donkey story and that it will help them the way it helped me.